Size of this preview: 508 × 599 pixels. Other resolution: 509 × 600 pixels. 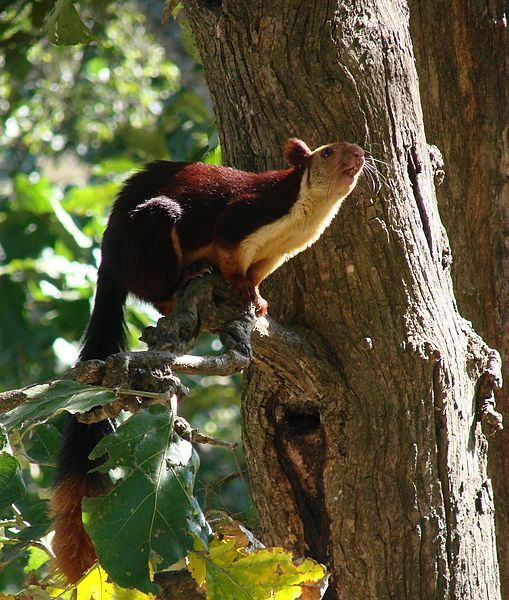 English: Malabar Giant Squirrel, also known as Indian Giant Squirel ( Ratufa indica) photographed in deciduous forests of Mudumalai Tiger Reserve. . . These lovely squirrels are upper canopy dwelling species and are also territorial and they tend to protect their trees . . This image was originally posted to Flickr by Rakesh Kumar Dogra at https://www.flickr.com/photos/[email protected]/4042464846. It was reviewed on 29 October 2009 by FlickreviewR and was confirmed to be licensed under the terms of the cc-by-2.0.